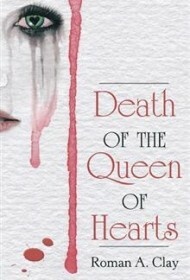 Set in England, Death of the Queen of Hearts is a mystery revolving around James, the future king, and his quest to discover how and why his mother, Princess Christina, really died. Four years earlier, Christina had been killed in a car chase under a Paris bridge. On his 21st birthday, James receives a mysterious message from an anonymous stranger suggesting there is more to the story. Against his family’s wishes, and despite numerous warnings of danger from the few people willing to help him, James pushes forward on his mission for the truth. When he finally discovers the answers he’s been searching for, he is forced to re-evaluate all he’s known and believed in. The central mystery of the novel feels more like author Roman A. Clay’s thinly veiled conspiracy theory regarding the death of England’s Princess Diana rather than a work of fiction, with the names of the main characters clearly meant to evoke parallels (“Ali Hassan” vs. Dodi Fayed, “Gardenia” vs. Camilla, etc.). In various scenes throughout, James and others interact directly with Christina, with no indication from the author whether James is hallucinating, having a flashback, or dreaming, leading to much confusion for the reader. Add to this other issues, including settings lacking description, characters lacking nuance, and dialogue lacking depth, and Death begins to read like a too-long short story rather than a novel. While there is some danger attached to James’ quest, there is no sense of urgency for the audience, and the answers he finds are straightforward and too easily acquired. By the time the mystery has wrapped up and the motivations behind the events have been explained rather than revealed, readers are left feeling like they’ve missed most of the adventure. Death of the Queen of Hearts might find its niche with conspiracy theorists and Royal Watchers, but due to the flaws mentioned, it is unlikely to attract a wider audience.